Ford has developed a new ‘crash-proof’ car that avoids collisions and even parks itself. The automaker said its new ‘Obstacle Avoidance’ technology allows the car to take control of the steering wheel when it detects the risk of a collision, whether from another vehicle or a pedestrian. The technology uses three radars, ultrasonic sensors and a camera to scan the road ahead. Upon detecting any slow-moving objects, stationary objects or pedestrians ahead, the system first warns the driver, and then the system automatically takes control to avoid a collision if the driver fails to act in time. While vehicles that automatically brake upon detecting pedestrians are becoming increasingly common, Ford’s system is unique because it can also steer the car out of the way. “If the system detects a slow-moving or stationary object in the lane ahead it first displays a warning and then sounds a chime,” a Ford spokesman explained to the Daily Mail Online. 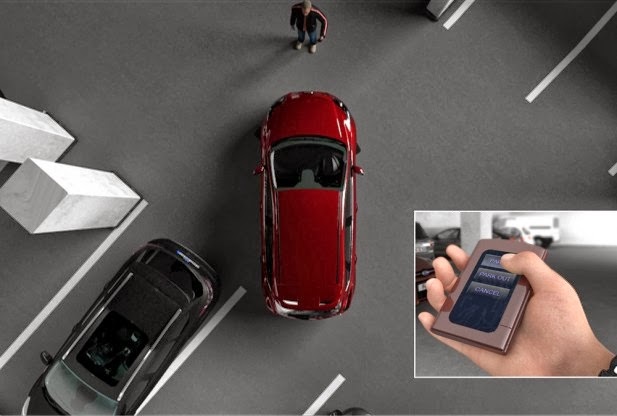 The new vehicle also incorporates Ford’s ‘Fully Assisted Parking Aid,’ which allows a driver standing outside the car to push a button and watch the vehicle park itself. Ford already offers a parallel parking assist feature in its vehicles, but it requires drivers to remain behind the wheel and keep a foot on the brake. The new technologies are currently being tested on a Ford Focus at speeds of more than 38 mph, and were demonstrated for the first time at Ford’s facility in Lommel, Belgium. It is expected to be available to consumers within five years. Ford is currently leading a consortium of 29 partners in a research initiative dubbed “interactIVe” (Accident Avoidance by Active Intervention of Intelligent Vehicles), which seeks to develop technology and vehicles that promote accident-free traffic.